The inky blackness of the pupil is not a mere dot, floating on top of a striated convergence of colors; it is a well, a window into the head and into the soul. Without a properly done pupil, a large glass eye will always look stuffed. 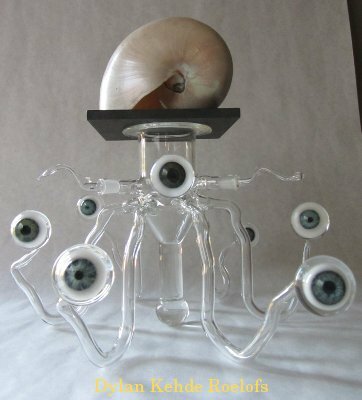 The creepiness of an artificial eye, and of some taxidermy stems from exactly that; a floating dot-pupil will follow you everywhere, something which a real eye will not. A directional and focused gaze is ‘vital’, so to speak …. 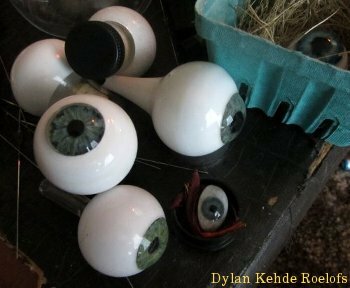 The technique of the very, very few remaining prosthetic glass eye makers requires that the pupil be added last, and simply float on the iris. For an human iris of 11-14 mm, this suffices admirably. As the scale increases, this ‘uncanny well’ becomes more evident. By way of example, edification, and elucidation I have chosen to offer the item pictured for sale: A simple glass jar. 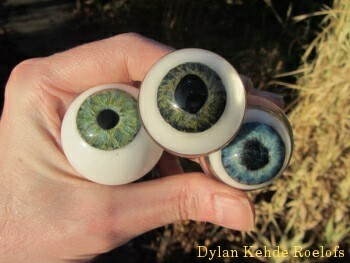 These eyes are slightly larger than a golf ball (42.6mm) and range from 43-47mm in diameter. 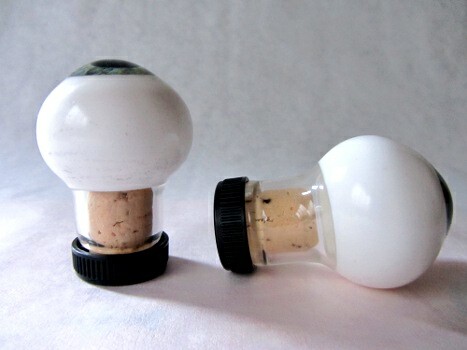 They are 55-60mm long, and fit a standard wine bottle cork, which they are supplied with. 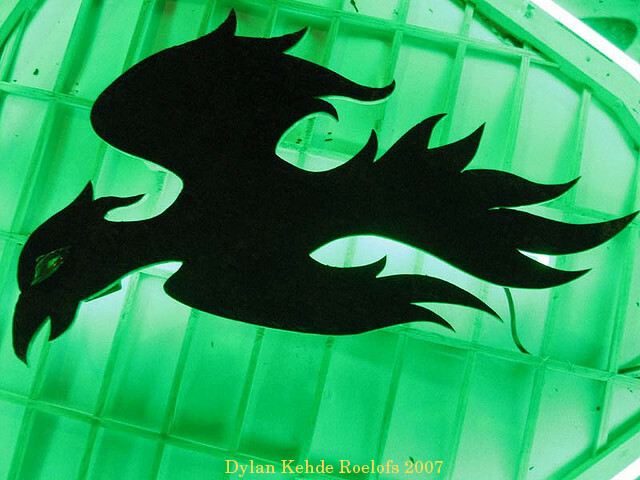 They are primarily supplied in blues, greens, and grays; the palette of dense browns in borosilicate glass is limited. I am very occasionally available for custom work in the special effects, puppetry and taxidermy industries. 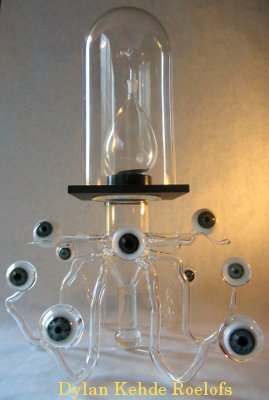 I regret that I cannot compete with pricing for commercially available glass or plastic eyes under 30mm. In early 1896 Tesla had been working with a wide variety of Lenard and Crookes tubes, as well as single-electrode X-ray tubes of his own design, energizing them with upwards of 1,000,000 volts. He speaks in a number of articles about actually melting the glass vacuum envelopes and the electrodes with his prodigious and eponymous coils, which were certainly not available to any other researchers of the day. 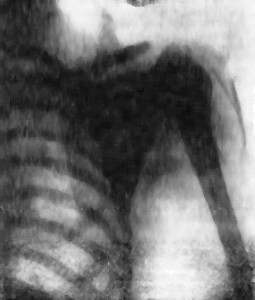 This is the earliest reference I am able to find on the use of x-rays for surveilance, covert or otherwise. From Electrical Review magazine in April of 1896 -Archived here. 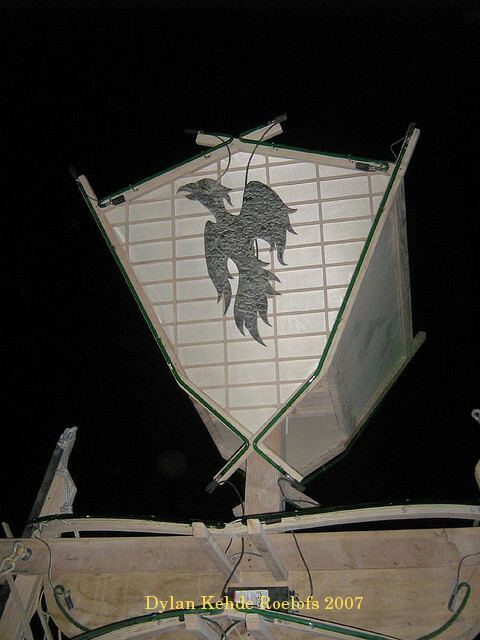 “A few weeks ago, when I observed a small screen of barium-platino-cyanide flare up at a great distance from the bulb, I told some friends that it might be possible to observe by the aid of such a screen objects passing through a street. This possibility seems to me much nearer at present than it appeared then. Forty feet is a fair width for a street, and a screen lights up faintly at that distance from a single bulb. I mention this odd idea only as an illustration of how these scientific developments may even affect our morals and customs. 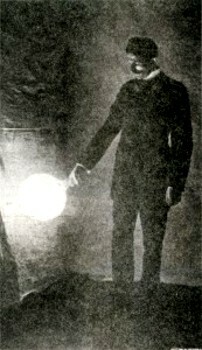 In 1892 Nikola Tesla gave a lecture to the Royal Society of Electrical Engineers in London1, summarizing his experiments in what he termed ‘sensitive brush’ lighting. 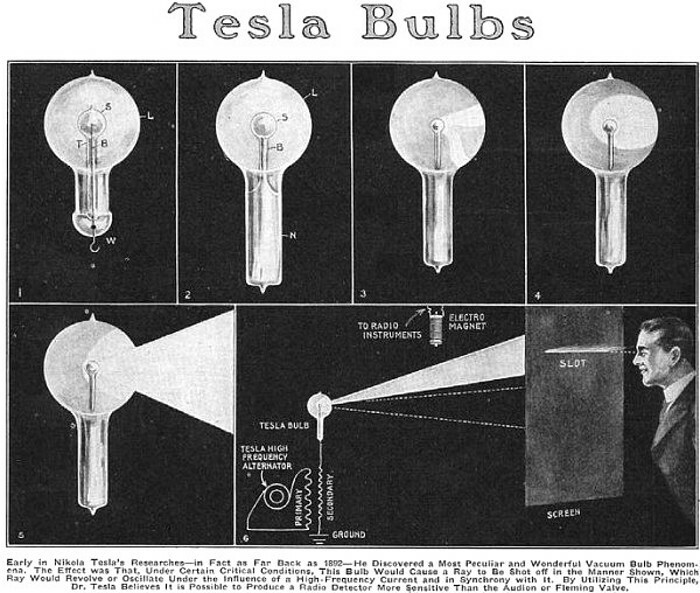 Tesla had been working with electrical discharge in evacuated glass bulbs, following the recent (1880′s) popularity of the Geissler tube and the discovery of X-rays. 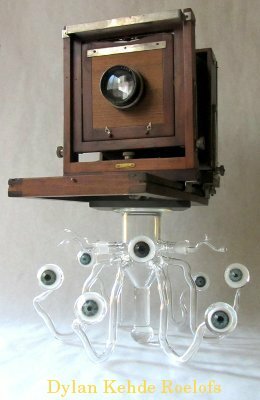 The idea of induction driven lighting was not at all new; the beautiful Diehl lamp was patented in 1882, although it was never put into production. 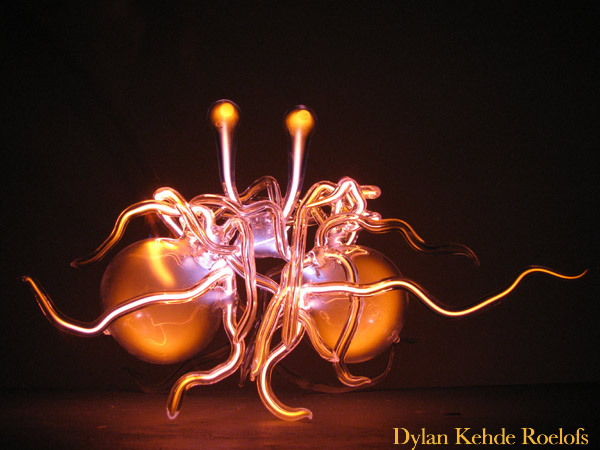 However, Tesla’s bulbs were different:They had neither filaments, nor electrodes. Tesla speaks of a ‘brush’ or ‘ray’ of light (figs. 4-6 above) which is sensitive to magnetic fields, nearby wires, and indeed the very proximity of his hand and body. 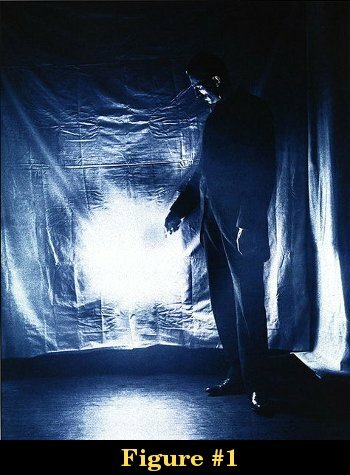 To us this seems mere cliche, but he was certainly among the very first to see the phenomena of a focused beam of high-frequency plasma in a single-electrode bulb, and it must have been awe-inspiring. He had in effect invented the modern ‘Plasma ball’, but to his peerless mind it was no mere toy; it was an antenna capable of receiving transatlantic signals, a feat not actualized until nearly ten years later by Marconi. However, even the great Tesla had not forseen the impending cacaphony of radio frequency noise to come, nor the intensity of Earth’s natural electrical phenomenae, and would have eventually been disappointed, had he pursued this unpredictable ‘detector’. It is fairly clear that the sheet conceals the coil driving the phosphor-coated bulb. 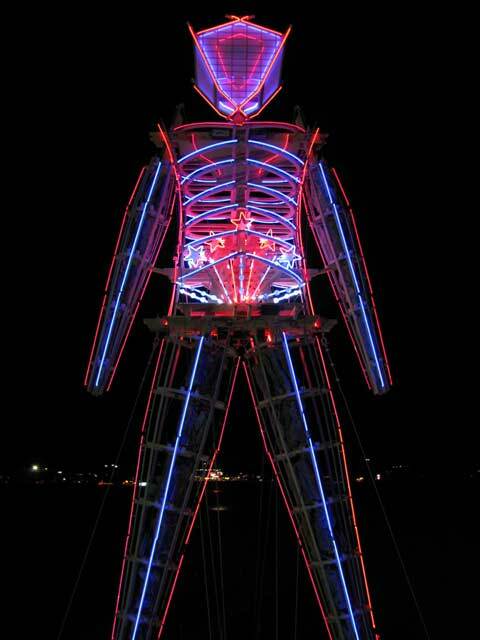 Tesla was clearly moved by his dance with this Will-o-the-wisp, this sensitive and etheric radiance, this odd asymmetry in his world of perfectly aligned coils, machined spheres and tamed toroids. Much has been written and rumoured over the years concerning Tesla’s various lighting systems and their frequencies, distances, and voltages. Much has been muddled, confused and mistaken. To my knowledge, nobody but myself has ever faithfully recreated the wireless bulbs. 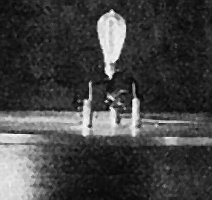 In several shots the circular heat shield near the base of the bulb is visible; this was only a necessity in to deflect the heated, and thus convective, backfill gases from ruining the base cement and detaching the threads of hanging, high-wattage bulbs after about 1916. 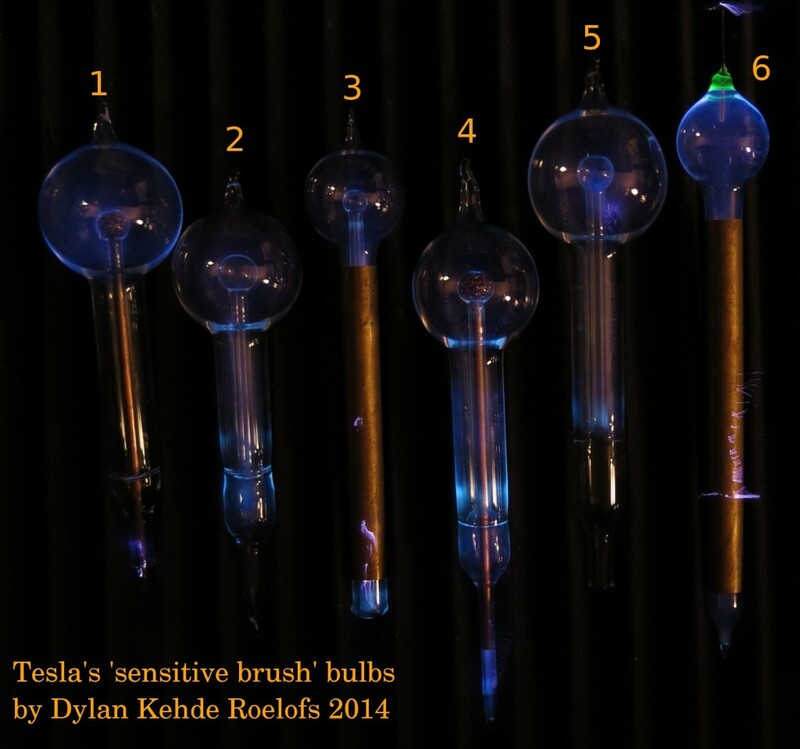 The keys to understanding the ‘brush’ phenomena lie in the processes and equipment Tesla’s glassworkers had available at that time – They may or may not have heated the bulb while it was attached to a vacuum pump, a procedure called a ‘bakeout’. Without a bakeout, no matter how high the vacuum , the residual water entrained upon the interior surfaces will slowly evaporate after the tube is sealed off, and be excited by high voltage into a plasma. The building pressure of the residual water vapour in his brush bulbs would have behaved exactly as he states in 1919: “Warming the bulb, or increasing the potential hastens the transit.” This effect would occur with or without the bakeout. Water vapour is a pale white-blue, the exact ‘misty’ colour Tesla mentions. 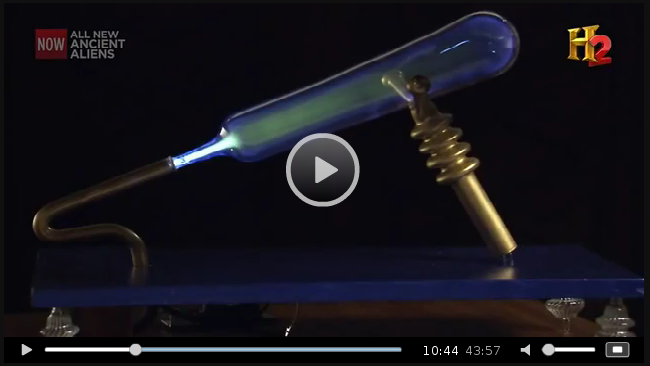 Tesla’s glassblowers certainly used a so-called “Mercury piston” pump to create the vacuum. 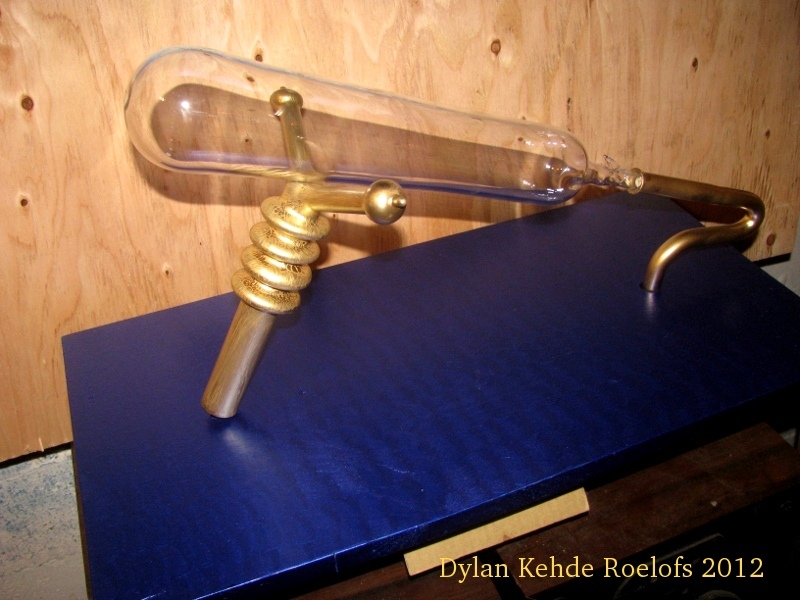 Invented by the afforementioned Geissler in 1855, it used falling mercury drops, each of which effectively acted as a small piston. 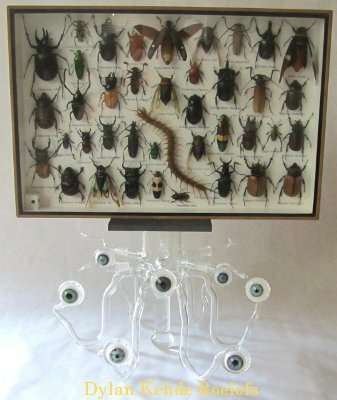 It was improved on by Toepler, Sprengel and Crookes, all of whom, among their many other skills, were talented glassblowers. It was eventually capable of attaining a vacuum far superior to any mechanical pump of the day (supposedly 10-3 torr, or about one millionth of an atmosphere), but was painfully slow, and contained several pounds of mercury. 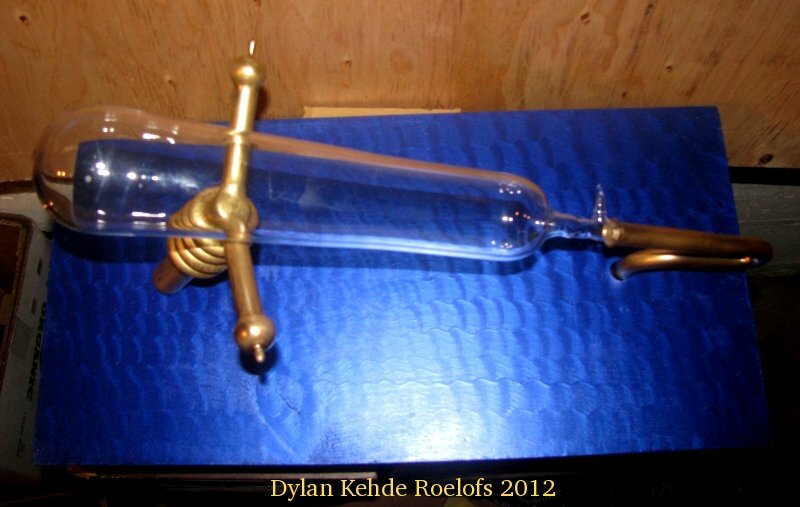 However, until 1915 and the invention of the diffusion pump, it was the best pump available to science5. This pumping would eventually remove 99.999% of the atmospheric gases, and there would be no visible plasma from them, but the residual water vapour would remain. 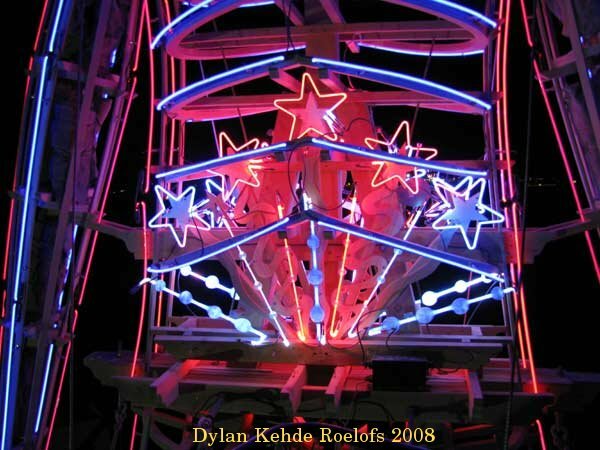 The bulbs also utilized a coating of a ‘phosphor’ (a generic term for a scintillator which has nothing to do with the element Phosphorus) on the interior surface to create light. During his X-ray tube researches, Tesla stated7 a preference for crushed Scheelite, an ore of Calcium and Tungsten. When excited by ionization, scheelite gives off a ‘sky blue’ glow. 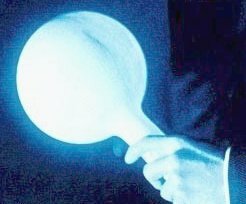 We may look to this phosphor, and the necessary coating process to further examine the “white, misty light” of a brush bulb. 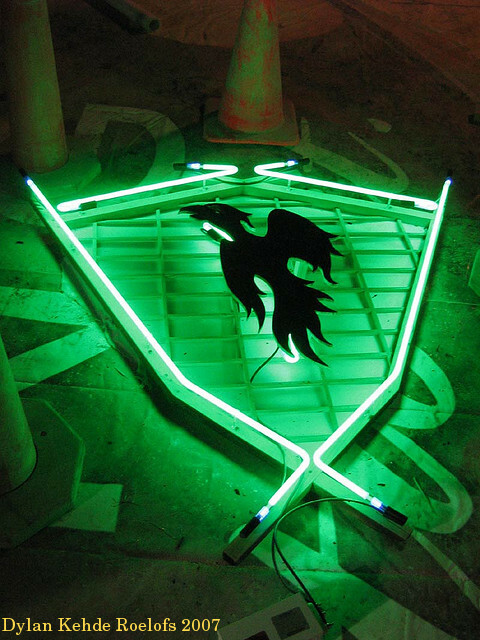 Modern phosphors are applied, very finely ground, in suspension in a low boiling liquid – typically acetone. By even external heating, and the ministrations of a deft hand, the liquid is evaporated and leaves an even layer adhered to the inside of the glass. 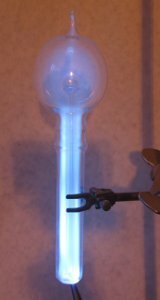 This procedure works for irregular or non-planar objects, such as neon signs; the flat active surface of a monochrome cathode ray tube or Crookes tube would typically be coated by merely allowing a suspension to settle, and then decanting the liquid. Externally coated screens would also be inserted into tubes, an option not suitable for spherical bulbs. 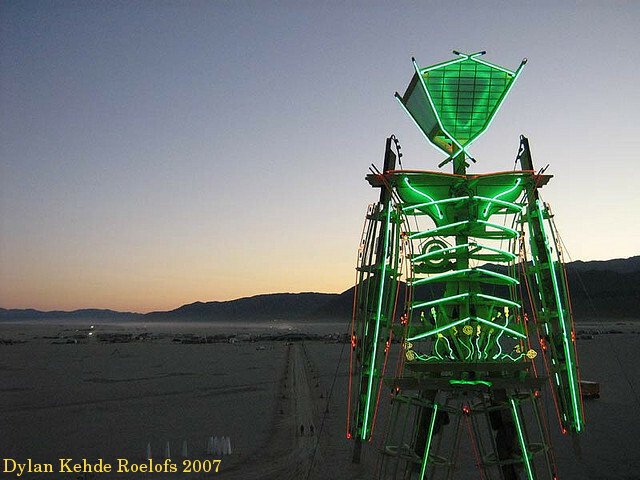 I am no stranger to this exacting process (See my Burning Man Gallery for the custom plasma tubes it was my honor to install on the Man in 2007 and 2008), and am able to see some artifacts of it in his 1919 portrait (Figure #2 and magnified inset). Note the odd streak/shadow just above the middle of the bulb, past the edge of the ‘beam’. This is a typical effect of an incomplete evaporation, either from impatience or the use of a less volatile liquid. If Tesla’s glassblowers had been using ethanol or water, it would have been very tricky to get a coating without ‘pour’ lines like those observed. One would certainly hope that he chose his best bulb and his best suit for the portrait. Tesla persued this line of research, making the first photographs by fluorescent light, and constructing a 1500 candle-power bulb in 18998. 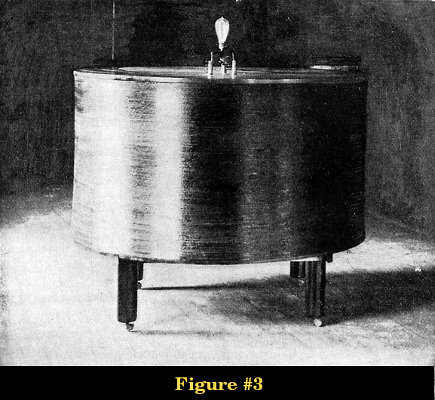 In this article, he gives us a few hints as to the frequency he used to drive these bulbs: 400kHz and 800kHz, and 2MHz, whereas the ‘Brush bulb’ article of 1919 contains no voltage or frequency information. 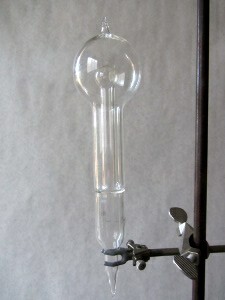 An earlier patent9 for a non-brush bulb also has some information. I would like to think that it was in part the contemplation of these scheelite coated, sky-blue orbs that drove him to further ponder the sky itself, the excitation that must drive it, and how he could reproduce it, and give it to all of humanity. Now, for the first time in nearly a century, those lost lighting phenomena are at hand again. 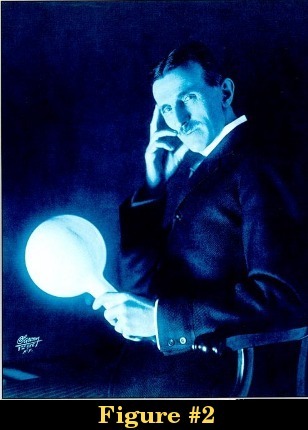 I will be making a very limited number of reproduction bulbs in a variety of Tesla’s original configurations. 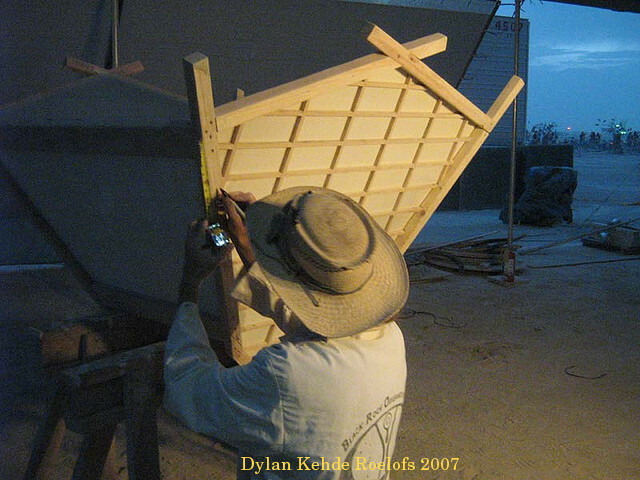 Advanced researchers, collectors, and museums are encouraged to email for a catalogue. 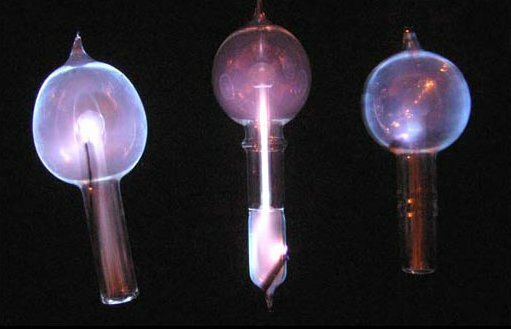 Shown below is a small selection of bulbs, showing various stages of water vapour plasma, under excitation from a hand-held spark coil (above), and a flyback transformer driven plasma system (bottom picture). Tesla’s Oscillator and other Inventions, Century Magazine ,1895. Archived here. Roentgen Rays or Streams, Electrical Review , Aug. 1896. Archived here. Tesla’s Latest Results, Electrical Review, Mar. 1896. Archived here. Tesla’s 1891 response to J..J. Thompson’s work on discharge in vacuum tubes here. 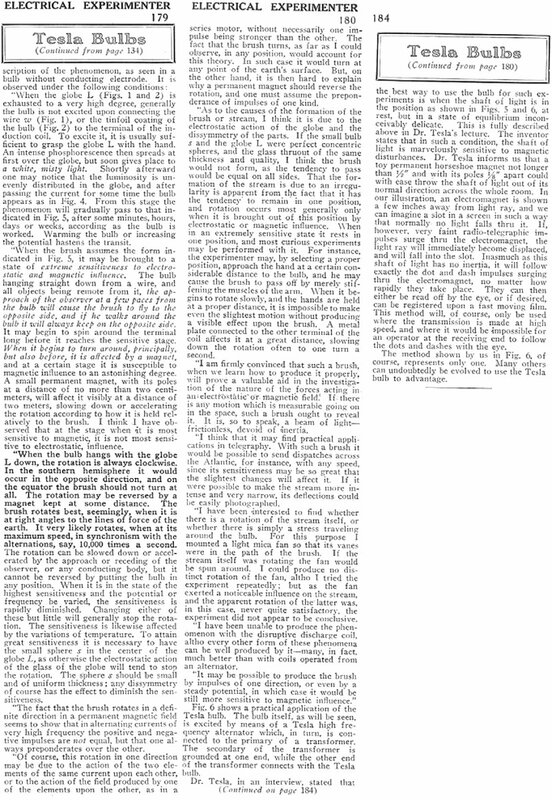 On Roentgen Radiations, Electrical Review 1896- Archived here. 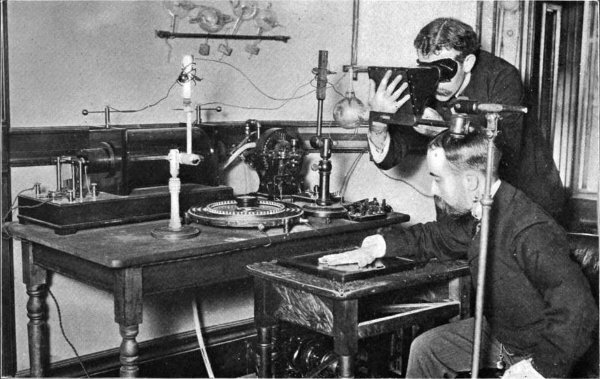 Some experiments in Tesla’s laboratory, Electrical Experimenter, 1899. Archived here. 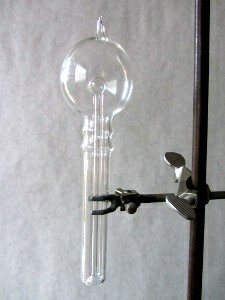 In his Patent 454,622, from 1891, concerning another of his high-frequency bulbs, he gives a figure of 20Kv at 15-20kHz. 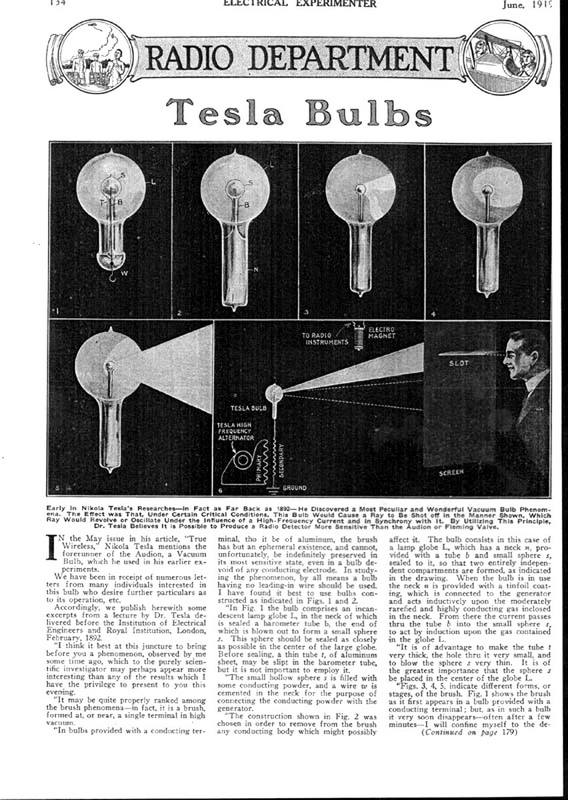 Notes: Tesla also worked with numerous other types of lighting besides the wireless ‘brush’ bulbs to which I have tried to confine the scope of this article. 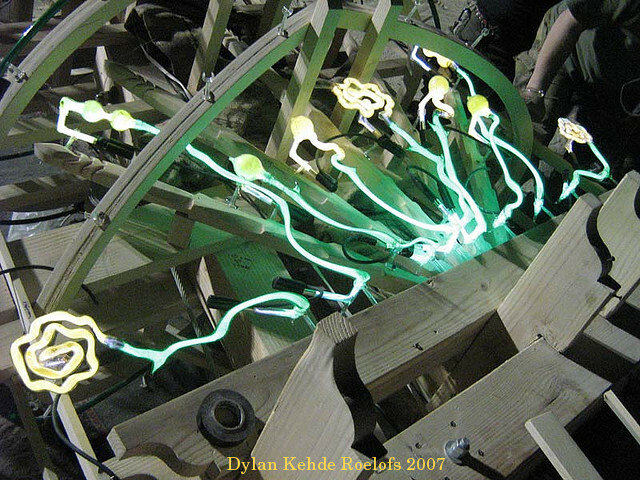 Electrical Experimenter ran this essay in March of 1919, showing some of Tesla’s earlier wireless ‘neon’ tubes. 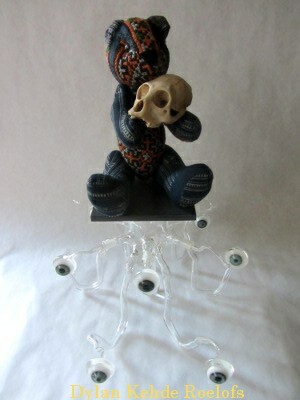 Only glassblowers have Nightmares like this…Sometimes, we are driven to share. 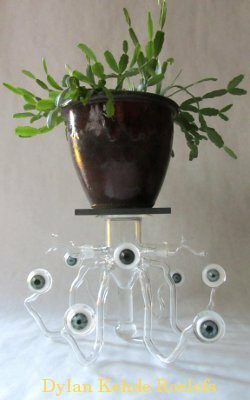 The Hexapedestal is a customizable glass stand for static displays of Art and Artifacts. 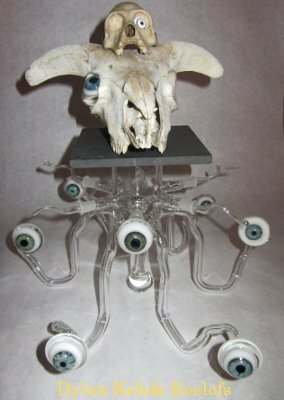 It is the perfect ‘Thing’ for supporting the most treasured object in your collection, a stack of moldy Lovecraft novels, or perhaps a small Wunderkammer display case in toto. 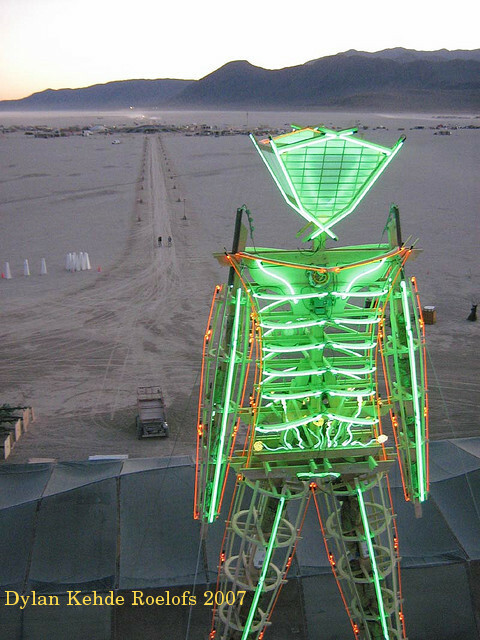 It is to be released in a numbered edition of 10, plus an Artist’s proof. It is approximately 9 inches tall, 13 across, and 16 from front to back. 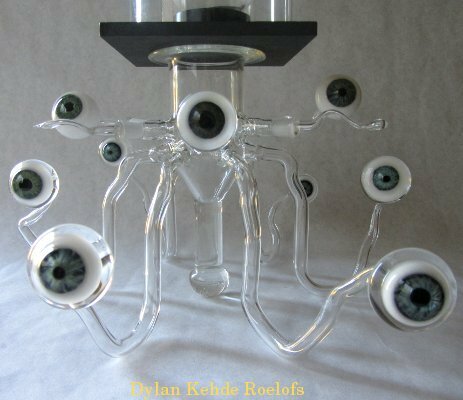 It has 7 hand made glass eyes, all focused towards a single viewing point: You. It can be supplied with a variety of platforms in marble, steel or glass, which can be attached, countersunk, or free. Please enquire for pricing and availibility. 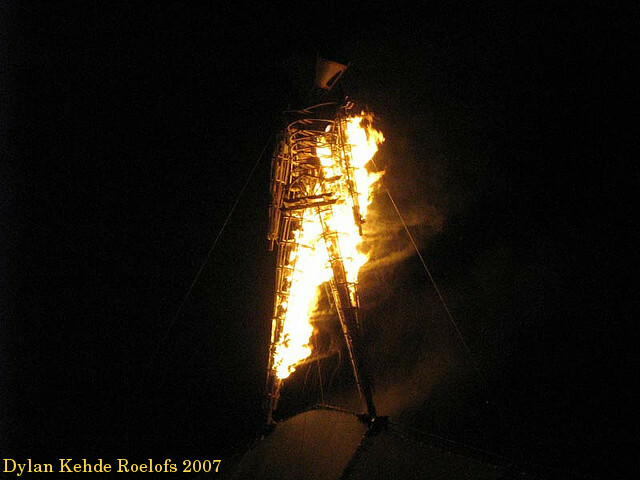 Named “Mugwump” in honour of the late William S. Burroughs: Renegade Saint, proponent of Free Speech and Thought, Revered Godfather of Obscenities, and child of the Burroughs Adding Machine dynasty -the popularizers of the Nixie tube. This tube is to be issued with laser-cut letters, in a numbered edition of 50 for high-voltage enthusiasts, tube collectors, and patrons of Anglo-Saxon verbiage. This edition is to be followed closely by one of true cold-cathode tubes for DC operation, of the same horizontal readout and succinct emphatic character, with a fill gas of neon or xenon. 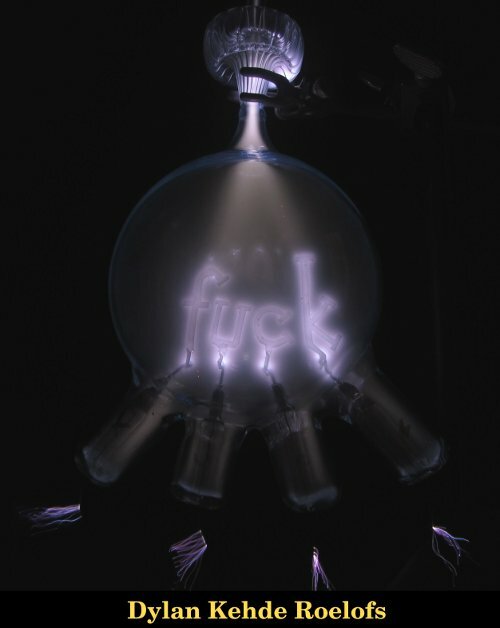 The technically inclined should know that the tube is handblown borosilicate glass 120mm in diameter, and 210mm tall; the glass-to-metal sealing sequence from cleaned and properly oxidized tungsten is 775 to 7720 to 7740 glass; the letters are hand cut from pure nickel sheet, and the gas backfill is 10 Torr of pure xenon. 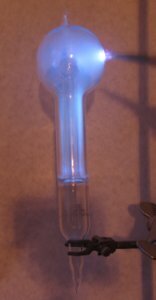 The tube is baked out under vacuum at 400C for one hour, as is standard for high vacuum tubes.